If you’re looking to take your CBT test in Basildon then we have all the information you need to book your CBT and get out on the road. We currently have one CBT centre in Basildon, located a short walk from Laindon station. ART Rider Training boast purpose-built facilities, with a large off-road training area. The local roads are quiet and perfect for new riders. Probike Motorcycle Training are a long-established school based in Chelmsford, and all the instructors are all ex-police officers, so they know a thing or two about riding motorcycles. Probike are close to Chelmsford city centre and the A414. In Hornchurch, we have Cardrome Motorcycle Training, who have a varied fleet of automatic and manual machines for you to choose from, as well as some quiet local roads. Slightly further from Basildon, we also have training centres in West Thurrock, North Fleet, and Southend On-Sea. In order to be eligible for a CBT, you must be a UK citizen, be at least 16-years-old, and hold a valid UK provisional or full licence. 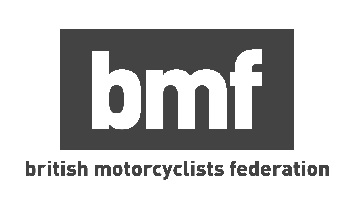 You do not need to take the theory test before your CBT, and you don’t need any previous experience riding motorcycle or scooters. There is no test involved with your CBT, so you don’t need to worry about revising anything specific before the day, but it will help to brush up on a few things. Luckily, we have plenty of handy guides and articles which will help prepare you for your CBT. during your CBT, the instructor will test you on you knowledge of the highway code, so it’s wise to spend a little bit of time studying this to make sure you know the basics. Use YouTube. It’s easier than ever to prepare for your CBT, and there are plenty of YouTube videos detailing the CBT itself. It would also be wise to brush up on the basic theory of riding a motorcycle or scooter. But make sure you know which type of machine you intend to ride first. There’s no point learning how to ride a motorcycle, if you end up riding a scooter. You can check out our more in-depth guide to prepare for your CBT here. You don’t need to worry about buying your own motorcycle or scooter prior to your CBT, or purchasing your own protective equipment. The school will provide you with a bike, as well as a helmet. Some schools will provide you with gloves and a jacket, so it’s best to find out beforehand. You’ll want to wear some thick jeans and sturdy boots that cover your ankles. Check the weather a day or two before, as well. Wind chill can make it especially cold on two wheels, so pack extra layers or some waterproofs if you need to.